Psychology Department "Making Judgments of Others"
Earn $15 in a 90-min study in which you will make judgments about people on short videos, and provide some information about yourself. You must be between 18 and 50 years of age to participate. Please do not sign up for this study if you have done it before. This research is approved by the Northeastern University Committee on Human Subject Protection. 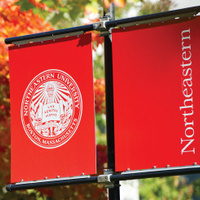 To arrange your session in the Psychology Department, contact Ms. Melanie Hamilton, hamilton.m@husky.neu.edu. 2nd Floor of Nightingale Hall, Room 223 or wait in blue chairs in corridor 107 Forsyth St.